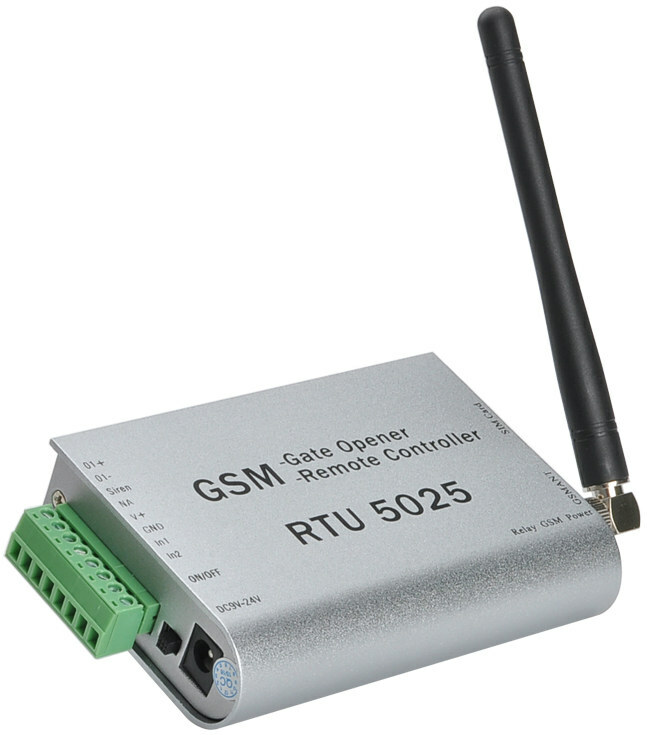 We’ve already seem boxed WiFi and Bluetooth wireless relays that can be used to turn on and off appliances using a smartphones or web applications, but I’ve just been made aware that GSM relay controllers such as RTU 5025 could also be a good options since they allow for authentication using the mobile number, can be used with any phone, not only smartphones, and don’t cost anything to operate, beside the eventual maintenance cost of the SIM card inside the device, since the relay does not actually answer calls. It can also send an SMS to the owner each time the relay is activated, in which case the cost of SMS might have to be considered. 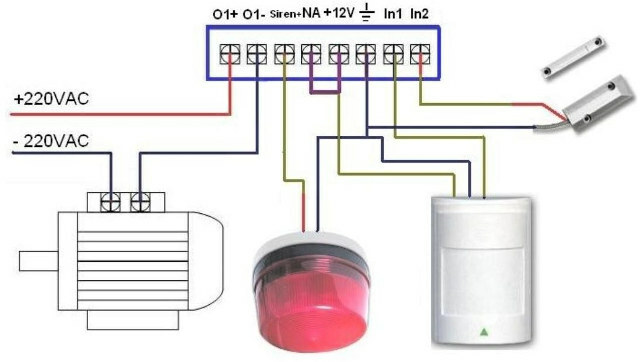 This product is mainly used as a gate opener which explains the siren and sensor pins, but it could be used to control other machinery remotely, and other optional sensors sold with the device include PIR sensor, glass break sensor, magnetic window sensor, temperature sensor, information beam fence, and vibration sensor. The user manual for RTU-5025 (different enclosure) shows how to set the password, add users, i.e. mobile numbers, enable/disable the alarm triggered by the sensor pins, relay close time, etc… using SMS commands. RTU 5025 is sold for $44.72 on Chinavasion, but you can also purchase it, or similar models, on Aliexpress, GearBest, eBay, etc… Again bear in mind that 2G networks are or will be phased out in many countries, and you may consider the 3G version instead, selling for $85 on Aliexpress. Samsung Galaxy S4 Zoom – Phone Camera or Camera Phone? Good point; OTOH, they have to know both the number to dial & caller’s number. I think one use case is delivery yards etc, where some will be around but doesn’t want to have to manually open the gate all the time. But true it might be convenient for something that is already secured by other means. Just don’t expect a lot of security out of this.